SuperStay Matte Ink™ Liquid Lipstick gives you a flawless matte finish in a range of supersaturated shades. 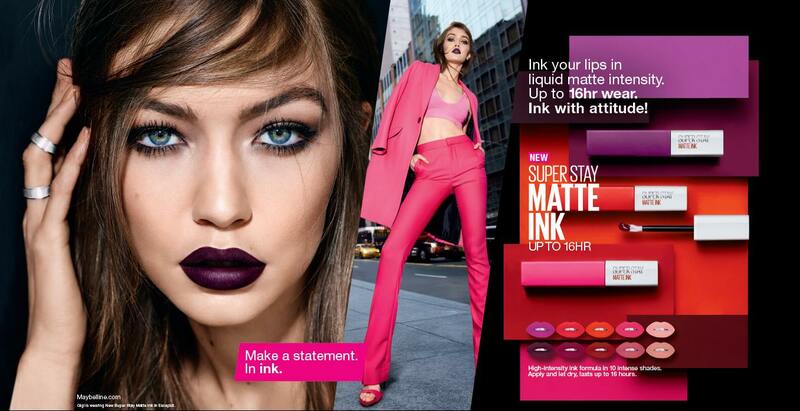 Will you consider purchasing Maybelline Superstay Matte ink in other shades? I’ve purchased a lot of matte lipsticks claiming it will stay Long. But once I ate, maybe smth oily. It’ll come off. Normal but this lipstick got me mind blown. Even aft eating chicken wings(lol) it still stayed. It was on me for arnd 12 hours. Definitely worth buying. As what the name suggest, it really is a superstay product. Dries down to matte and pigmentation is superb. It's confirmed that it's a long lasting product. I've out for around 8 hours and never bring my lipstick out to touch up, but after I have my dinner and drinks, there's lip stain on cup, but the colour is still on my lips. I like how the lipstick survives eating and drinking. But somehow it leaves stain on my straws and by noon, the texture will crack and become quite unsightly that I have to cover it up with another lipstick as it is hard to remove without the eraser.